A Log Management Software is responsible for containing all the logs of an organization that has been misplaced unknowingly. This software is used for administering and facilitating the generation, analysis, storage, transmission, and disposal of log data that is created in any information system. The software makes it extremely easy to keep a record of the transnational data, which can be accessed by you without any hassle. A log monitoring software is widely being used in a number of organizations because of the numerous benefits that it has. If the data has been stolen or an employee logs into any system without prior authorization, the tools of this software can help in managing the data pieces that are missing and they can even locate the place from where the data is missing. Basically, log management software is responsible for tracking the actions of your employees. 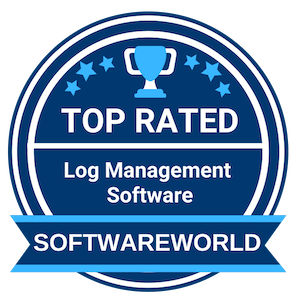 Here is the list of top-rated Log management software by SoftwareWorld. This list will help you decide and choose the best Log management software for your company. What are the Best Log Management Software in 2019? About Datadog : See inside any stack, any app, at any scale, from anywhere with Datadog; the log management software is the best option for modern monitoring & analytics. The user can see, track and analyze their organization server, clouds, metrics apps, and teams with the help of Datadog. The user can monitor, troubleshoot and optimize application performance and get full visibility into the modern application through the software. The user can build a real-time interactive dashboard, share experience, and get alert feature and much more through Datadog. “Work performance has improved in the department we are happy with the use of this platform. Good customer service easy integration to the platform for its use and do not need a lot of work to understand it easy to configure and very personalized.” – Luimer D.
About Netwrix Auditor : Discover the visibility platform for user behavior analysis and risk management with Netwrix Auditor; it is visibility & governance platform for hybrid cloud security where the user can control over changes, configurations, and access in hybrid IT environments. Through this log management software, the user can detect data security threats on-premise and in the cloud, pass compliance audits with less effort, and increase the productivity of IT security & operations teams. “Wonderful reporting and very easy to use! The reporting that is provided both OOB and available for building are quite robust. The GUI is very easy to navigate and quite intuitive. 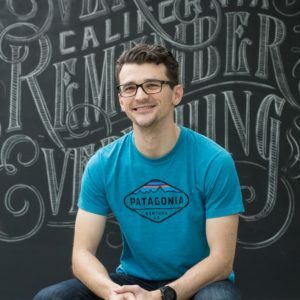 The ability to grant access to other users for their own reporting is extremely helpful as well!” – Kyle R.
About PagerDuty : Get streamlined incident resolution for your organization with PagerDuty; it’s a digital operation management and incident response software where user can connect to gain visibility, understand to minimize noise with applied machine learning, engage to mobilize with the right on-call responders at the right time with the right information; the user can also automate the required actions and analyze the processes and practices. PagerDuty provides the best way to work smarter. About OpsGenie : Get the Powerful alerting & On-call management solution with OpsGenie; modern incident management software offers the exclusive features for incident management solutions where the user can plan & prepare for incidents, never miss a critical alert, easily track & analyze all response activities and much more features. OpsGenie is easy to integrate software with third-party platforms where the user can find more than 200 integration options; the best solution for On-call management and service-aware incident management. “OpsGenie is more like an Ops Miracle Worker. Our issue was reliably alerting our staff of equipment warnings and outages. OpsGenie gives us the ability to not only send notifications, but see who received them, who responded, and escalate based on a number of factors to make sure that someone, somewhere is getting the alerts.” – Adam K.
About LogDNA : Discover centralized log monitoring & analysis through LogDNA; the best log management software to instantly collect, centralize, and analyze logs in real-time from any platform, at any volume. The user can find two options where they can easily get cloud-based log management and self-hosted log management products. LogDNA is intuitive, affordable and scalable centralized log management software; it’s a much secure & compliant option for quality log management. About Logz.io : Index, search and visualize your data with Logz.io; the cloud-based log management software built on ELK and Grafana offers the best monitoring, troubleshooting, and security solutions to the businesses. It’s easy to use & intelligent machine learning & crowdsourcing software to identify and resolve critical errors & threats in real-time; it’s a fully secure platform to maximize business performances and empower organization engineers. The user can reduce their monitoring expenses through Logz.io analytics. About Scalyr : Help the DevOps team and solve more problems in less time with Scalyr; the log management software offers the best log aggregation, system metrics and server monitoring solution to the users. It’s easy to setup software where the user can aggregate logs & server metrics, turn raw log & metric data into rich visualization, get dashboard feature for quick and easy access, find power & customizable alert manager and also get much more features for improved and secured log management solution. About VictorOps : Get On-call management, automated escalations, and centralized system information with VictorOps; incident management and IT alerting software offer On-call schedules, noise suppression, live call routing, API & webhooks features, ChatOps, Runbooks & Graph, reporting and much more features for robust incident management. VictorOps is an easy to integrate software with the third-party platform. It’s a proactive problem-solving solution where the user can get a collaborative environment and actionable insights. 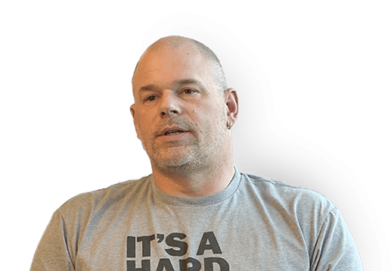 “ “VictorOps is helping us to build our Sustaining organization. I like the best is the simplicity to set it up and to integrate with other tools, as well as the versatility to create different teams with different escalation schedules and paging policies. 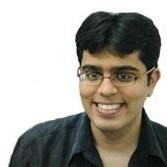 Excellent service for tracking server outages as they happen.” – Shivakant D.
About CloudMonix : Take your cloud and on-premise monitoring and automation to the next level with CloudMonix; advanced monitoring platform is an incredible thing for monitor performance & availability, get notified of production issues, automate recovery procedures, and auto-scale resources in real-time. Through CloudMonix, the user can comfortably visualize all their systems and resources in one place with the live dashboard. It’s also suitable software to optimize cloud costs and automate issue resolution. You can find unlimited stability for DevOps with CloudMonix. “Great tool for monitoring and automation of cloud and on-premise resources. In my opinion the greatest benefit of CloudMonix is its ability not only to monitor and send alerts but also to execute automatic self-healing actions and auto-scale resources in real time. Really perfect data insight with the help of dashboards ” – Oleh M.
About Logmatic.io : Centralize all your logs and metrics right into your browser with the best log management software; Logmatic.io can collect front-to-back data in minutes and investigate & track down issues. The user can also visualize behavior and detect anomalies & get the notification through the software. It’s the best data-security and compliance software where you can find lots of quality features for log management solutions. » Cloud Management Software - All the service providers are looking for new and innovative ways in order to monetize the infrastructure and the biggest opportunity is provided to them by cloud computing. A Cloud Management Software is uniquely designed for operating and monitoring the applications, services, and data that reside within the cloud.